The Tera 11"x8.5" Hardboard Screwpost Portfolio Book + 20 Archival Sheet Protectors can be customized with Color Imprinting or Laser Engraving. 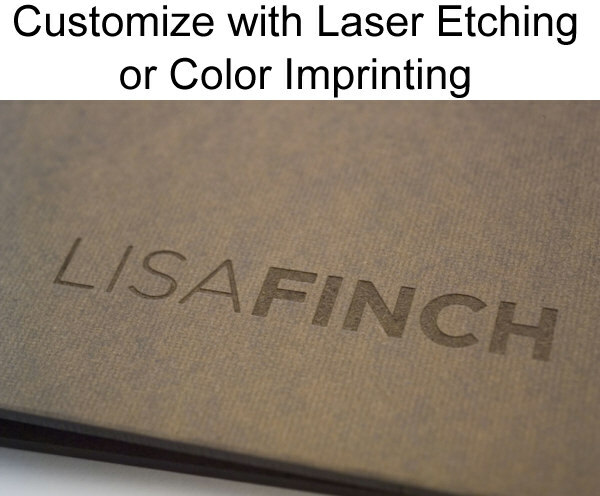 The Tera 8.5"x11" Landscape Hardboard Screwpost Portfolio Book + 20 Archival Sheet Protectors can be customized with Color Imprinting or Laser Engraving. 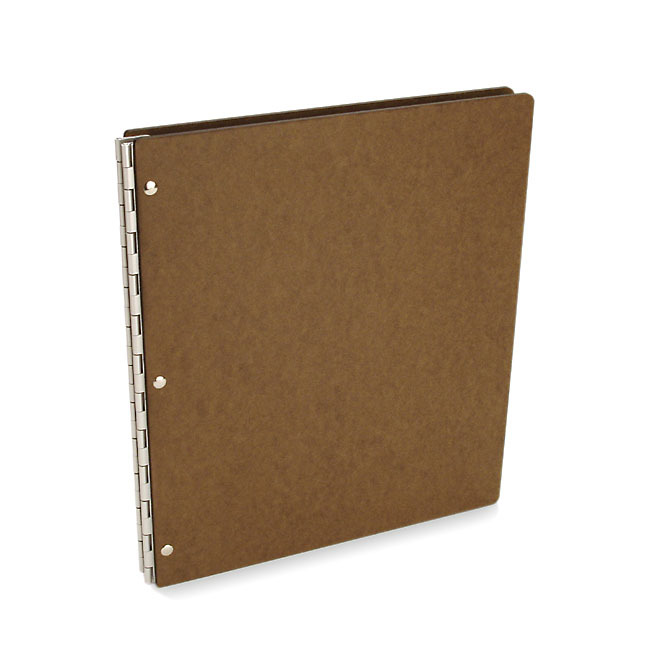 The Tera 14"x11" Hardboard Screwpost Portfolio Book + 20 Archival Sheet Protectors can be customized with Color Imprinting or Laser Engraving. The Tera 11"x17" Landscape Hardboard Screwpost Portfolio Book + 20 Archival Sheet Protectors can be customized with Color Imprinting or Laser Engraving. The Tera A4 Size Hardboard Screwpost Portfolio Book + 20 Archival Sheet Protectors can be customized with Color Imprinting or Laser Engraving. The Tera A3 Size Landscape Hardboard Screwpost Portfolio Book + 20 Archival Sheet Protectors can be customized with Color Imprinting or Laser Engraving. Made of pressed hardboard, the Tera Screwpost Portfolio has a slightly retro look, yet is contemporary and highly functional. The base price now includes 20 archival sheet protectors along with the front and back covers and 3/4" screwpost mechanism. Customize your Tera Screwpost Portfolio by using the selection boxes on this page to choose from the following accessories: Archival Page Protectors, Pre-Punched Inkjet Paper, Adhesive Hinge Strips, Black Zippered Nylon Jacket or Padded Transport Jacket, and Screwpost Extension Pack (1/2" and 1/4" extensions). Select your choice of accessories from this page then click the ORDER button to add your completely customized screwpost portfolio kit to the shopping cart. 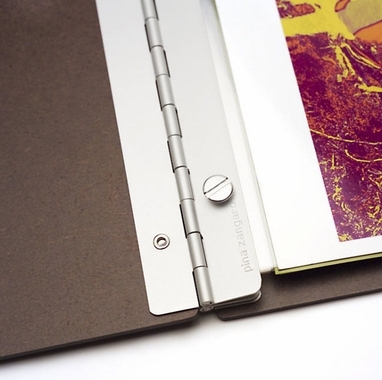 This Screwpost Portfolio Book will hold up to 20 pages with the included screwpost hardware and up to 40 pages with the Screwpost Extension Pack (sold separately). This item qualifies for FREE UPS Ground Shipping within the Continental US (Alaska and Hawaii excluded). UPS Next Day Air and UPS 2nd Day Air are also available - add items to your cart and enter your zip code in the shipping calculator to see the express shipping cost. Copyright 2014 Portfolio-and-Art-Cases.com. All Rights Reserved.